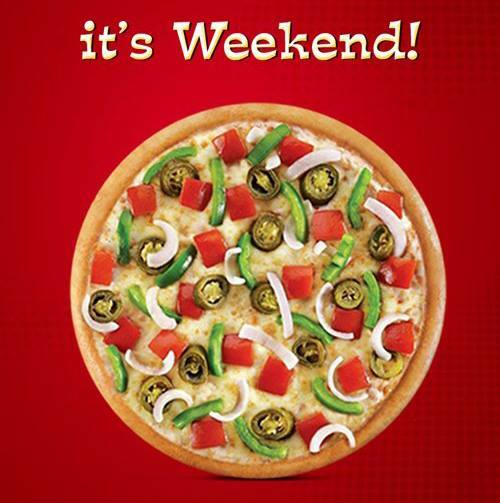 Pizza World is one true Indian pizza chain a small entrepreneurship that made an extraordinary leap to the big league. We give you a scrumptious blend of exciting pizza and pasta innovations, all prepared for the comfort of the Indian taste. More than just delicious food choices, we offer to transform your everyday dining into shared delightful moments with friends.We invite you to experience the reasons why Pizza World is the Favorite of all. At Pizza World, you will find out that the joy does not end with the food we prepare. We make it a point to extend this feeling of warmth from our ovens to our service, and straight into the hearts of every Indian. We go beyond the average pizza chain and offer you an enjoyable combination of delicious food, a comfortable ambience and friendly service that we customize to fit perfectly with your imagination, kind of adventure and the Indian value of bonding with friends. Pizza World offers you nothing but delicious food choices that have been prepared using high-quality ingredients and standards. Our menu is filled with a wide variety of mouth-watering selections from pizzas, pastas, starters, salads to desserts that will make any meal a delightful shared experience. We put the highest premium on our products to ensure that you get the taste that truly captures the feeling of delicious. Each one has gone through teams of experts that have been involved in developing the perfect taste that our customers keep coming back to. We work towards excellence in everything we do, in order to build the right atmosphere of discovering a wonderful dining experience. This is why we ensure that the quality of our service is both sincere and efficient, both in store and on delivery. We always focus on giving you the best value that will surely fill your appetite and your heart. Each member of our staff has been trained to provide the warm, welcoming and helpful treatment that you deserve just like in any groups of friends. As one whole team, we work to give you quality, not just in the food, but also in how we make sure that each order from our menu comes with friendly service. As the Indian favorite pizza chain, we have committed ourselves to developing a strategic delivery system that gives you efficient and friendly service, with innovations in technology to ensure that your food stays delicious and hot as if it were just pulled out of the oven. Greenwich has also invested in the continuous training of all our delivery personnel because we believe that every point of experience of the customer in the delivery process must be kept pleasant and courteous.